On offer here is a VERY rare LP (especially in this condition!!!!) by Jimi Hendrix called "The Electric Jimi Hendrix" and is an ORIGINAL 1970 UK TEST Pressing on the ULTRA RARE 'White Label' Track label!!!! THIS LP IS SERIOUSLY RARE AND VIRTUALLY IMPOSSIBLE TO FIND!!!! THISIS EASILY JIMI HENDRIX'S RAREST LP EVER (ONLY AROUND 1000 COPIES WERE EVER MADE!) - AND VIRTUALLY NEVER TURNS UP FOR SALE!!!! JUST TRY AND FIND ANOTHER ONE!!!! THIS LP WAS ONLY EVER AVAILABLE BY 'MAIL ORDER' ONLY - AND WAS ALMOST IMMEDIATELY WITHDRAWN AND DELETED!!!! AS A RESULTIT IS SERIOUSLY RARE, AND IS INCREDIBLY HARD TO LOCATE TODAY!!!! THIS LP IS ALSO THE RAREST JIMI HENDRIX LP - EVER TO BE OFFERED FOR SALE!!!! IN FACT, IT IS COMPLETELY UNIQUE!!!! I KNOW FOR A FACT - THAT THIS IS THE ONLY SURVIVING 'TEST PRESSING' OF THIS LP LEFT IN EXISTENCE. NO OTHERS EXIST. AND ANOTHER VERY IMPORTANT DETAIL - IS THAT SINCE I HAVE BEEN ON EBAY IN 2002 I HAVE NOT SEEN ANY OTHER JIMI HENDRIX LPs ON TRACK IN TEST PRESSING FORMAT!!!! 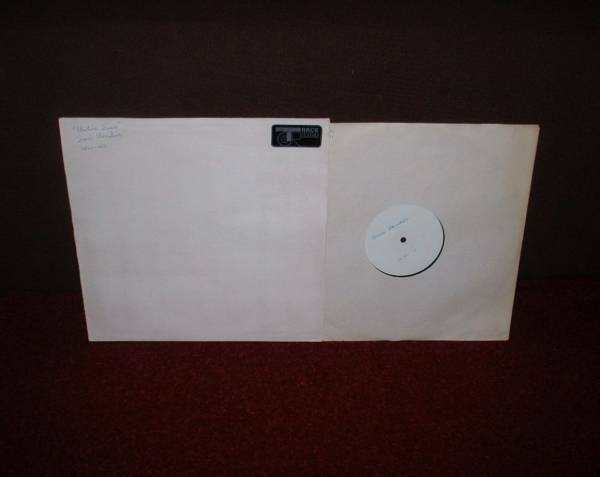 I HAVE SEEN PLENTY OF POSTHUMOUS TEST PRESSINGS FROM THE MID 1970s ONWARDS, BUT THIS IS THE VERY FIRST TIME I HAVE SEEN A 100% GENIUNE 'WHITE LABEL' TEST PRESSING OF A JIMI HENDRIX LP FROM THE TIME HE WAS ALIVE. SO THIS REALLY WILL BE YOUR ONLY POSSIBLE CHANCE TO OWN THIS LP - AS NO OTHERS EXIST!!!! AND IT IS ALSO WORTH NOTING EXACTLY WHY THERE IS ONLY 1 COPY OF THIS LP IN EXISTENCE (AND WHY IT HAD A DIFFERENT MIX!)!!!! THIS LP ORIGINALLY CAME FROM THE PERSON WHO ACTUALLY PUT THIS LP TOGETHER. NOW OF COURSE, ALTHOUGH HE TOLD ME THIS, ANYONE COULD SAY THAT ON A LISTING. BUT THERE IS FAR MORE LOGICAL AND OBVIOUS PROOF OF THIS FACT!!!! ON NORMAL 1960s LPs USUALLY AROUND 10-20 COPIES ARE MADE, A 'NEW RELEASE' WAS VERY IMPORTANT - AND 'TEST PRESSINGS' WERE SENT TO VARIOUS DEPARTMENTS AND OFTEN THE BAND THEMSELVES. SOMETIMES ONE MADE ITS WAY OUT TO A RADIO STATION, OR MUSIC REVIEWER ON REQUEST, OR FOR PROMOTION. HOWEVER, IN THIS CASE - THIS LP WAS 'MAIL ORDER' ONLY. THEREFORE RADIO STATIONS WEREN'T GOING TO PLAY IT, AND MUSIC REVIEWERS HAD NO INTEREST IN REVIEWING IT. AND ALTHOUGH THERE IS A DEFINITE MIX CHANGE (DISTINCT TONAL DIFFERENCES - VERY OBVIOUS ON LISTENING), TO SIDE 1 OF THIS LP - BOTH SIDES WERE TAKEN DIRECTLY FROM 'ELECTRIC LADYLAND'. SO THERE WAS LITTLE NEED TO CHECK THE RECORDING, AND IT IS VERY POSSIBLE THAT THE OBVIOUS TONAL MIX DIFFERENCE ON SIDE 1 WAS DONE COMPLETELY WITHOUT ANYONES KNOWLEDGE. SO THERE IS NO DOUBT AT ALL - THAT THIS LP IS COMPLETELY UNIQUE, AND THE ONLY ONE LEFT IN EXISTENCE!!!! IT IS ALSO WORTH CLEARING UP THE 'DATE MYTH' ABOUT THIS LP!!!! SOME PEOPLE CALL THIS A 1968 PRESSING, AND SOME HAVE EVEN SAID IT WAS A 'TEASER' LP RELEASED BEFORE THE FULL RELEASE OF THE DOUBLE LP!!!! OF COURSE, THAT IS COMPLETELY IMPOSSIBLE - AS THE 'OVERLAID' MATRIX ON SIDE 2 ACTUALLY TELLS IT WAS RELEASED LATER THAN 1968!!!! AND THERE ARE SOME SITES, THAT QUOTE THIS LP AS 1971. AGAIN, THIS IS COMPLETELY IMPOSSIBLE. AND WHY???? WELL THE PROOF IS AGAIN IN THE MATRIXES!!!! THIS LP USED 2 SIDES OF ELECTRIC LADYLAND - SIDE 1 HAD THE BRAND NEW '2856-002 1Y//2' MATRIX (WITH A COMPLETELY DIFFERENT TONAL MIX!) AND NO OTHER MATRIXES!!!! HOWEVER, THE PROOF IS ON SIDE 2. SIDE HAD AN 'ETCHED' 2856-002 MATRIX - AND USED THE END OF THE EXISTING 'ELECTRIC LADYLAND' A//1 MATRIX OVERLAID AND OVER STAMPED. AND THIS IS VERY IMPORTANT INDEED!!!! BECAUSE BY 1971 ELECTRIC LADYLAND WAS ACTUALLY USING A DASH 2 MATRIX ON THIS SIDE!!!! AND IN FACT, THIS SIDE ACTUALLY CHANGED TO A '2' MATRIX IN MID 1970!!!! SO THERE IS ABSOLUTE PROOF THAT THIS LP WAS DEVISED AND MADE IN EARLY 1970 - WITH THE SMUDGED DATE ON THE COVER GIVEN AS '23/1/70', WHICH IS ENTIRELY CORRECT!!!! THIS LP ALSO HAS A FEW 'ADDED BONUS'S WITH IT TOO!!!! IT HAS A SHINY TRACK STICKER ON THE COVER FRONT (WHICH IS CLEARLY OLD BEFORE I GET ANY QUESTIONS! ), AND TWO LABELS ON THE COVER BACK. UNDER THESE LABELS - IT IS WRITTEN 'SIDE ONE LISTING' AND 'SIDE TWO LISTING'. THE LABELS HAVE ALSO BEEN AMENDED - AND STUCK ON, SO THESE WERE CLEARLY PUT THERE AS AN IDEA OF WHAT THE FINISHED LABELS WOULD BE LIKE (AND NO DOUBT TO REFER TO THE CREDITS, WHICH WOULD BE NEEDED ON THE FINISHED VERSION). AND WHOEVER WROTE THE DETAILS ON THE LABELS AND COVER AT THE FACTORY CLEARLY WASNT BLESSED WITH WRITING SKILL (OR WAS IN A RUSH) SO IT IS A BIT 'SCRAWLY'. HOWEVER, ANOTHER INTERESTING POINT IS ONE OF THE ANNOTATIONS IN THE TOP LEFT CORNER ON THE COVER REFERS TO THIS LP AS "ELECTRIC JIMI" - SO PERHAPS THIS WAS GOING TO BE THE ORIGINAL NAME OF THE LP???? IT CERTAINLY SOUNDS A LOT BETTER THAN 'ELECTRIC JIMI HENDRIX' WHICH THIS LP WAS EVENTUALLY CALLED!!!! IT IS ALSO WORTH NOTING THAT THIS LP WAS PROBABLY STORED IN A DAMP ENVIRONMENT AT SOME POINT IN THE PAST - FOR ALTHOUGH IT HAS NO STAINS, NO WATERMARKS, AND DEFINITELY NO MOULD - THE WRITING ON THE COVER & LABELS IS A BIT SMUDGED, THE COVER IS A BIT UNEVEN, THE TRACK STICKER & LABELS ARE A LITTLE WRINKLED (THOUGH THIS COULD HAVE BEEN FROM BEING STUCK ON THE COVER IN THE FIRST PLACE), AND THERE ARE A FEW (WATERCOLOUR?) FINGER PRINTS/SMUDGES ON THE COVER BACK. EITHER WAY - THIS IS A COMPLETELY AWESOME JIMI HENDRIX TEST PRESSING, AND EASILY THE RAREST JIMI HENDRIX LP EVER TO BE OFFERED FOR SALE!!!! NOT ONLY THAT BUT THIS LP IS IN BRILLIANT CONDITION - AND CLEARLY HASNT BEEN PLAYED MUCH AT ALL!!!! JUST TAKE A LOOK AT THE PICTURES!!! !THIS IS THE ORIGINAL 1970 UK'TEST PRESS' 1ST PRESSING ON THE 'EARLIEST' 1ST PRESS WHITE LABEL 'TEST PRESS' TRACK LABEL, 'EARLIEST' 1ST PRESS 1Y//2 2Y//1 MATRIX ENDINGS, 'EARLIEST' 1ST PRESSINNER SLEEVE,AND 'EARLIEST' 1ST PRESS'PLAIN WHITE' TEST PRESS 'STICKERED' COVER!!!! THIS LP IS SERIOUSLY RARE AND VIRTUALLY IMPOSSIBLE TO FIND LIKE THIS - SO DONT MISS OUT ON THIS AMAZING OPPORTUNITY!!!! This is the ORIGINAL Track UK 1st Pressing from 1970 and is in BRILLIANT condition!!!! The record is pressed on THICK quality vinyl. The Cat. No is 2856 002 on the ORIGINAL 1st Press Track label (see picture) and is a UK Stereo 1st Pressing (there were NO Monos!)!!!! The record labels are inSUPERB condition (see pictures) with NO wear, NO tears, and only a few VERY light spindle marks!!!! IT IS VERY CLEAR THAT THIS RECORD HASN'T BEEN PLAYED MUCH AT ALL!!!! The vinyl is in BRILLIANT condition!!!! Most of these 60s LPs had been to a lot of wild parties and are usually found totally worn out, and almost unplayable. This one is NOT and has NO nasty concentric marks AT ALL, only 2 or 3 VERY light hairlines, only 2 or 3 light scufflines, and only a VERYfew of the lightestpaper scuffs only visible under light!!!! THE RECORD STILL RETAINS ITS ORIGINAL 'JUST PRESSED' LOOK AND SHINES LIKE NEW!!!! It is alsogreat to find that the record plays as STUNNINGLYas the visual with NO pops, barely ANY clicks AT ALL, NO sticking, NO jumps, barely ANY crackle AT ALL, and only some VERY slight background sound on the run on grooves & gaps - NOT in the music AT ALL!!!! The sound quality is simply SUPERB with NO distortion and NO groovewear either!!!! The record mustgrade Very Good++ if not better!!!! Believe me this record is NOT overgraded in ANY way!!!! I use STRICT RC grading standards - it is not in my interest not to!!!! Brillant!!!! The record comes in its ORIGINAL 1st Press inner sleeve which is in BRILLIANT condition!!!! The ORIGINAL1st Press 'TEST PRESS' Plain White 'Stickered' Cover isin BRILLIANT condition!!!! It has NO edge wear,NO spinal wear, only VERY slight corner wear (NOT through the colour! ), NO splits, only a few VERY light creases (cover is VERY flat looking! ), a slight touch of uneveness, NO rips, NO tears, NO annotations, and NO writing!!!! The opening edge isbeautifully straight with barely ANY feathering AT ALL!!!! Even the unlaminatedback of the coveris in BRILLIANT condition withNO grubbyness, NO ringwear,NO rubbing, NO yellowing, and NO writing!!!! The cover must grade Very Good++ if not better!!!! THIS LP IS SERIOUSLY RARE AND VIRTUALLY IMPOSSIBLETO FIND LIKE THIS (IT IS COMPLETELY UNIQUE!) - SO DONT MISS OUT ON THIS INCREDIBLEOPPORTUNITY!!!! HAVE A LOOK AT MY PICTURES - I DO MY BEST TO SHOW THE RECORD FROM ALL ANGLES AND MAKE THE PICTURES AS CLEAR AS POSSIBLE - THERE IS NOTHING TO HIDE!!!! It really is a GREAT looking LP and it is truly rare to find any copies of this MEGA RARE LP!!!! THIS WILL BE YOUR ONLY CHANCE TO BUY AN ORIGINAL 1970 UK 'EARLIEST EVER' 1ST PRESSING OF "ELECTRIC JIMI HENDRIX" BY JIMI HENDRIX, IN BRILLIANT CONDITION!!!! Dontforgetto take a look at allmy other items including many other TOP LPs and contact me with any queries you may have. Postal discounts for multiple buys are always available - and I guarantee to ALWAYS undercharge on postage! Paypal, Bank Transfers, Cheques, International Money Orders, and Postal Orders accepted. Thanks for looking! Cheers!!!! !